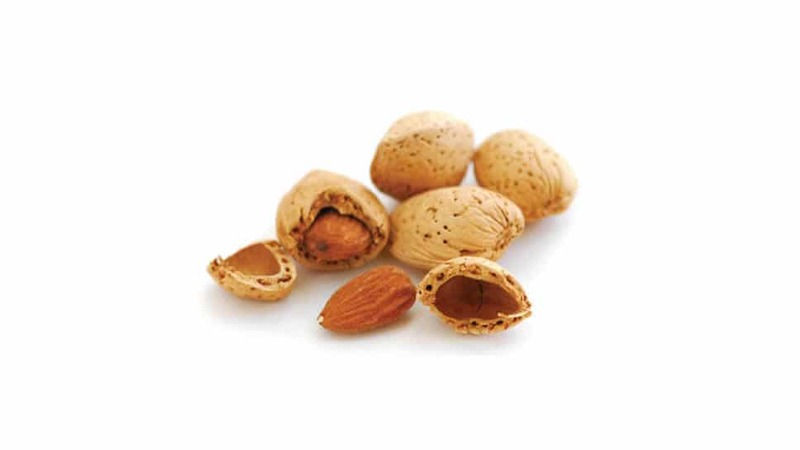 The fruit of the almond is a drupe, consisting of an outer hull and a hard shell with the seed (which is not a true nut) inside. Shelling almonds refers to removing the shell to reveal the seed. Almonds are sold shelled (i.e., after the shells are removed), or unshelled (i.e., with the shells still attached).